Gently repurposed oak beams, skilfully turned by hand on a lathe in Surrey, become beautiful little globe cases. Blackened reclaimed oak, lined with parchment celestial gores. Shown here with Ocean Currents pocket globe. Lined with a celestial chart, hand painted in azure and detailed with gold, this blackened oak pocket globe case contains a bespoke Small World. 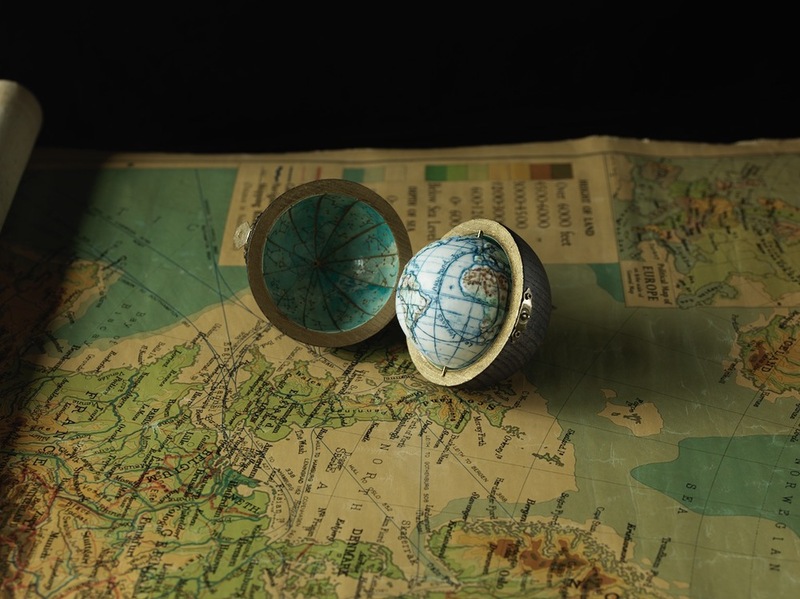 The porcelain globe is fitted with tiny brass pins that allow it to be freely rotated within its case. The Oak Pocket Case is available Blackened as shown here or Natural Oak.